I’ll be working today and tomorrow (Black Friday, ugh) and probably watching a ton of MST3K, including the new season, which is directed by Rob Schrab. Schrab is one of my cartooning heroes so I am stoked to see what he’s done with the new season of MST3K. Next week, expect a podcast or video discussing 10 episodes of MST3K that aren’t Manos or Mitchell level popular, but are some of the best episodes…at least in my opinion. What? I think I was going to add some NASA photo as the background but never did. 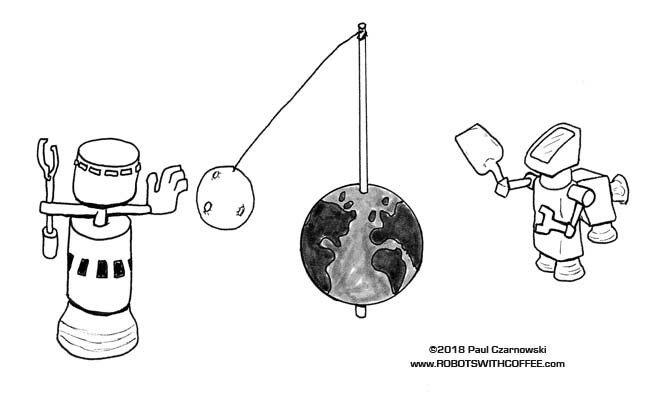 Here’s two large space bots playing tetherball with our moon. Ouch! 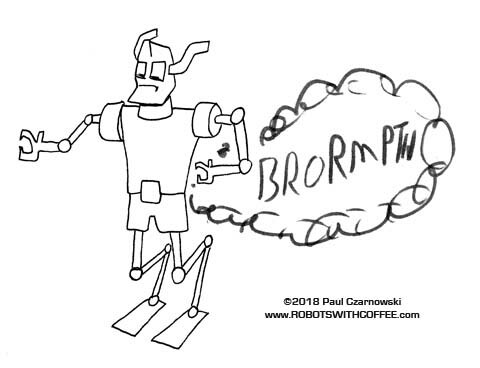 Bonus: a farting robot. Don’t act surprised. …I think I just left this one after I scanned it because I didn’t like it. I’m AIRING OUT these drawings for you. Go shop online, I have comics and TShirts and drawings that would make great gifts.